The Pathfinder has always been a comfortable and attractive truck, but with the new 2001 powerplant, it has become something more - a startlingly powerful, quick performer. Indeed, the new combination offers almost sedan-like acceleration, especially in 4x2 models with the manual transmission. In that configuration, the Pathfinder has an enormous 80 more horsepower than the previous model, recording impressive 0-60 mph acceleration times of only 7.6 seconds. 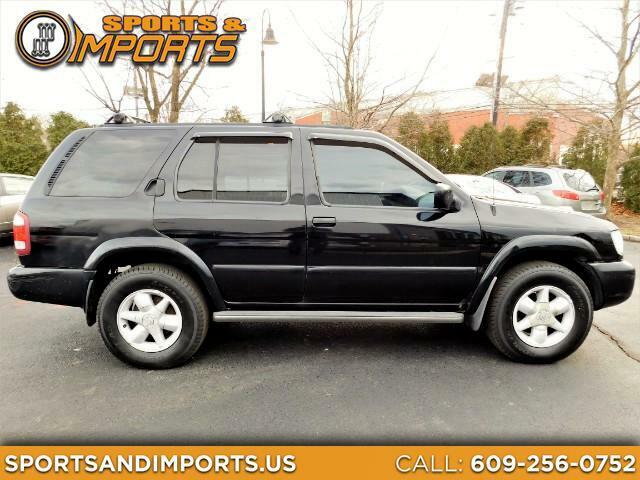 Just as surely, if you are the one in a hundred who intends to use your Pathfinder as an off-road vehicle, the 2001 model's more powerful drivetrain delivers enormous utility and flexibility in rough terrain. It remains rugged and ready to go anywhere, especially if you order the all-business limited-slip differential. But more likely than not, you will be using the Pathfinder exclusively on pavement. And with its vigorous new powertrain, there is no need for you to be one of those SUVs that is forever in the way. With the 2001 Pathfinder, you can lead the way.